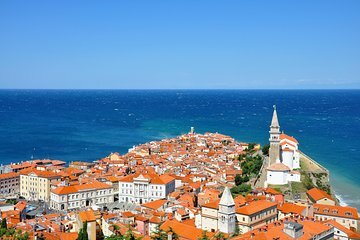 Discover the small Slovenian coast during this full-day private tour from Ljubljana. Head to the town of Lipica famous for the Lipizzaner horse breed and visit a stud farm. Then make your way to the small coastal villages and spend some time relaxing on the beach, enjoying delicious seafood dishes, exploring the Sečovlje Salina National Park, and walking through the quaint streets.